Dr. Patrick Po-Han Huang is an expert in aesthetic dermatology, dermatological surgery and pediatric dermatology. He was appointed as the Chair of Department of Dermatology and awarded as the Outstanding Educator at Chang Gung Memorial Hospital-Kaohsiung. He has served as an Executive Director of Board, Taiwanese Dermatological Association since 2012 and founded Taiwanese Society for Dermatologic and Aesthetic Surgery (TSDAS) in 2016. He currently serves as the surveyor of dermatology residency-training programs and aesthetic institutes in Taiwan. 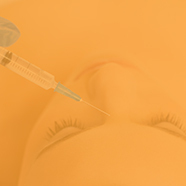 Dr. Huang is a recognized expert on aesthetic dermatology, including injectables and energy-based devices, and conducted several clinical trials. He established the Taiwan Dermatology Aesthetic Conference(TDAC) in 2013. He has been invited to speak at several international meetings extensively in Bali, Chengdu(China), Halian(China), Guangzhou(China), Ho Chi Minh City, Jakarta, Kuala Lumpur, Paris, Seoul, Shanghai, Singapore, Suzhou(China), Wuhan(China) and Xian(China). 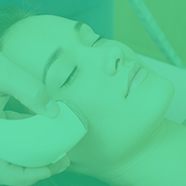 He is actively involved in scientific research of aesthetic dermatology and development of state-of–the-art techniques. He has published more than 20 peer-reviewed articles in SCI journals and received 150 citations in the top 5 publications. Because of his achievement in medical education, he was elected as the Board Chair of Kaohsiung American School in 2016 and 2017. He works with three dermatologists and one plastic surgeon in his private clinic, Huang PH Dermatology and Aesthetics, in Kaohsiung. In 2009, Dr. Huang was voted as «Good Doctor in Taiwan» in Business Weekly. Anti-aging in Asians - Is it different?